All events in place Omis ! Characteristics: Near the beach, air-conditioned. Other options: Heating, air conditioning. Price options: Air conditioning, 5 EUR per day. Using the air conditioner is charged separately One child under 2 years of age is free of charge per unit, with no claim to a bed or on board services. Check in: 14:00 pm, Check out: 10:00 am. Prices are the total price for building / apartment on the day. Included are: utility fees in regular ratio of consumption (electricity, water, gas), weekly change of sheets and cleaning. For stays shorter than 4 days will be charged 30% add-on price. Tourist tax and any other fees (eg registration) are included. 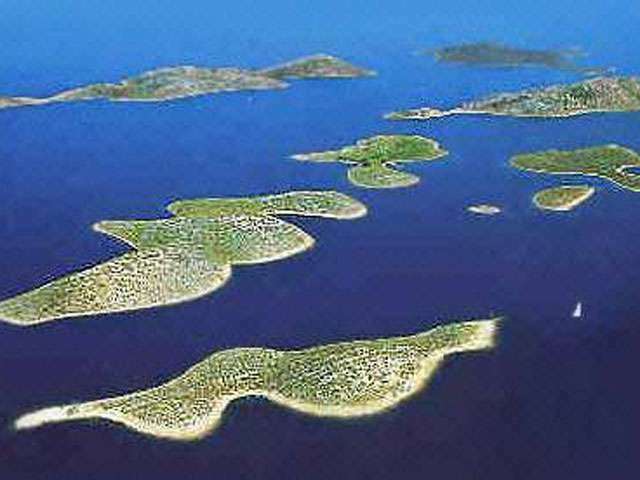 Protected areas located within the boundaries: from the chapel of St. Nicholas River Cetina river to the new bridge, Uluch Fošal coast to the town harbor, up the walls Trijun u8ključujući town cemetery and ramparts, the ridge of the hill Spee, the northern side of the fortress Peovica to Sv. Nicholas on the river Cetina.Thus fenced part of Omis is a medieval part of the city which was surrounded by city walls with towers of the fortress which is the highest Peovica final part, and dates from the 13th century. Buildings of this part of Omis indictments of 16 to 19 century and Renaissance styles include folk architecture from the 19th to century. The very role of the fortress Mirabela Peovica or was reconnaissance.The fortress overlooks the entire old part of the city, Punta and Priko, but also to the entire channel of Brac. It is then for the locals It provided outstanding protection from the enemy, and we all know how strong the Omis pirates were. Very environment allows fortress patrol the entire city and the space is nicely decorated. The castle consists of four floors and exit to the top with a beautiful view. The parish church dedicated to St. Omis. Michael. It was built in the early XVII. Century, as evidenced by an inscription in Latin on the side door. The bell tower was completed in the XVIII. Century. The church was built by local builders, and combines features of Gothic, Renaissance and early Baroque. In a niche above the lavish stone entrance is a statue of St. Michael and rose windows. The church walls are the coats of arms of the Venetian nobles of the city of Omis. Stone emblems can be seen on the houses of wealthier families, and portraits of prominent nobles of altarpieces in the church. River Cetina is one of the most beautiful places in Croatia where you can experience the magic of rafting adventures. Situated in a spectacular end to the towing her name, is still dragging through its canyons and through countless towns and hills that are slowly rising above it. Many of the stories circulating about the origin of its name. Emerged over the centuries some of the stories are still isolate from others, such as the story states that the first Croats, descending from the northern parts of Europe to the warm southern Dalmatian, found the river that it is extremely reminiscent of "Cetyniu" river that flows through the south of Poland, their last nomadic dwelling. A more izvjesnija story in which the Cetina got its name from the Latinized name "Kenton", which her tribe okrstilo Dalmata. Then the Croats were quick to name "croatised" in Cetina. This is an area of great historical and archaeological importance. On its slopes rights blagfa archaeological sites. Axes from the stone age, shields of Roman legionnaires, personal items of medieval peasants, all of this and many more archaeologists in discovering the rocky and mud cetinskome. Confirmation of your time and especially the importance it has for the people of this region had the river since prehistoric times.